Gypsy Queen Cigarettes Display Box with inside and outside labels showing Gypsy Queen in elegant pose with bright colors. Binding along the back of the lid is loose but still attached. 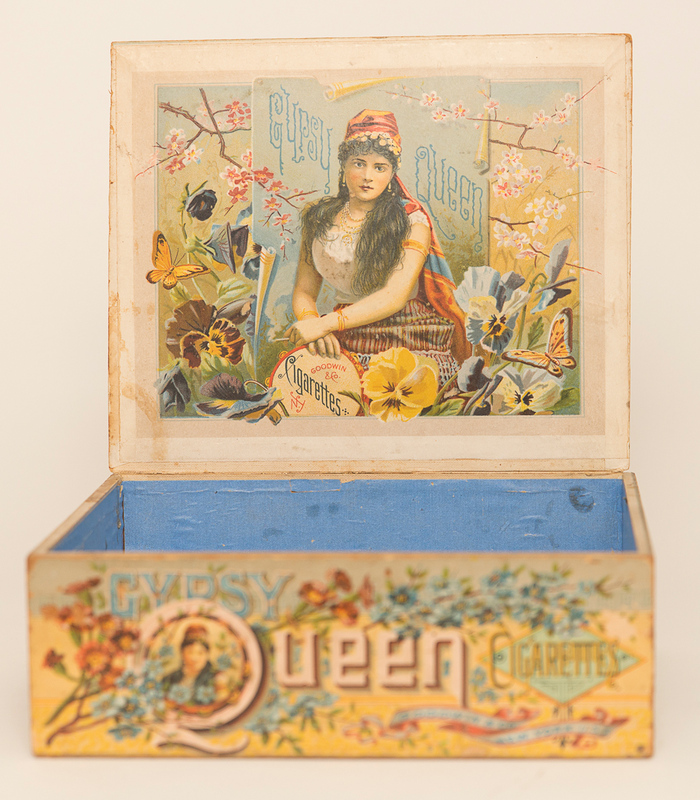 The Gypsy Queen brand produced a popular set of early baseball cards and this makes a great addition to a top tier collection. Size: 9.5" x 7.5" x 3"